Peaches in a natural cough syrup! 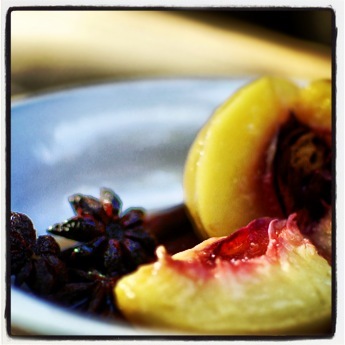 Blog Peaches in a natural cough syrup! This is the time of year for sore throats and sniffles, so what better way to seek relief than a bowl of warm poached peaches in a soothing syrup with a spoon of lovely, thick Greek yoghurt? Because the spices have a combination of antibacterial, anti-inflammatory and cough suppressant properties, the soothing syrup is natures way of helping when you feel under the weather. Deliciously simple and quick to prepare, once you’ve tried it you’ll definitely add it to your repertoire, even if you haven’t got a sore throat! It’s a great store cupboard treat too as you can easily substitute dried peaches or apricots if there’s no fresh to hand, in fact, we used dried for this recipe. The saffron gives a lovely warmth to the finished dish and a touch of decadence, so why not treat yourself and include it?